Off the heels of a decisive 71-54 victory over Northern Iowa inside Hulman Center on Saturday, Indiana State freshman Cooper Neese was honored Sunday evening for his efforts by being named the Missouri Valley Conference Newcomer of the Week. 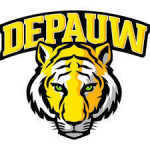 Wednesday was a special evening for DePauw University’s men’s and women’s basketball programs in their penultimate game of the regular season against Denison. Not only did they complete a sweep of their North Coast Athletic Conference foes in front of their home crowd, the No. 19 women defeating Denison 58-50 and the men winning 86-81, but they did it while raising money for the Kay Yow Breast Cancer Research Fund.